Construction work on the Julius Nyerere International Airport (JNIA) Terminal 3 is currently 67% complete. This is according to Works, Transport and Communication Minister Prof. Makame Mbarawa. The minister made the disclosure in Dar es Salaam after touring the construction site to assess the progress. The construction of terminal three, is estimated to cost US $250.7m. The project is scheduled for completion early next year. Upon its completion, the airport will be capable of accommodating a total of 6.5 million passengers annually, more than twice the capacity of terminal two. The latter accommodates a paltry 2.5 million passengers. The Tanzania Airports Authority (TAA) acting Director General, Mr Richard Mayongela said the Terminal Three will allow the landing of 11 large aircraft at once with a carrying capacity of between 300 and 400 passengers, well above terminal two’s six. Julius Nyerere International Airport is the international airport of Dar es Salaam, the largest city in Tanzania. It is located about 12km southwest of the city centre. The airport has flights to destinations in Africa, Europe, and the Middle East. It is named after Julius Nyerere, the nation’s first president. 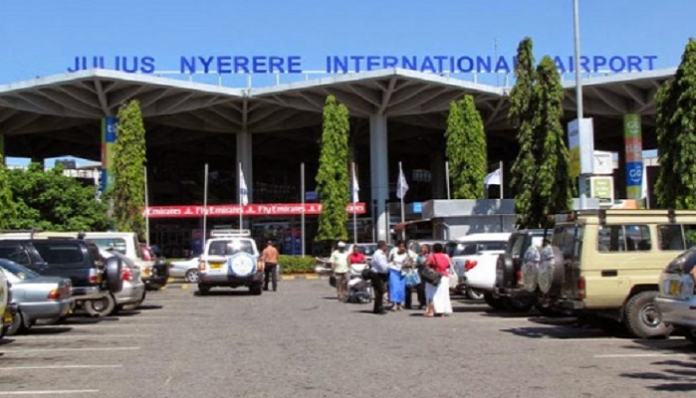 In October 2005, “Dar es Salaam International Airport” (DIA) was renamed “Mwalimu Julius Kambarage Nyerere International Airport” and on 1 November 2006, “Julius Nyerere International Airport”. A total of 9,501,265 passengers used the airport from 1980 to 2004, averaging 2,770 passengers per day. In April 2013, the Tanzania Airports Authority signed a US $123m contract with BAM International of the Netherlands for the construction of the first phase of Terminal III, with a capacity of 3.5 million passengers per year. In November 2015, the second phase was also awarded to BAM, at a contract price of US $110m, and will add capacity for an additional 2.5 million passengers per year. After completion of Terminal III, it is expected that Terminal II will be devoted solely to domestic passengers. It is proposed to build a rail shuttle link from the airport to the city and rail coaches have already been bought for this (2014).